We’re always looking for ways to improve your MC experience. To celebrate the spring season, we’ve launched four new product features. Our product manager Kyle will show you what’s new in the video below. And for you readers out there, we’ll breakdown the updates below. Android Users, the Wait is Over! MC Teacher App is now available on Android devices. For those of you who have an Android device, you can now instantly score your assessment by entering your test ID and holding your phone over the bubble sheet. Additionally, you can quickly access student responses and make changes in the moment by utilizing the “edit answers” button in the application. Ready to join Apple users in some serious mastery tracking? Download the MC Teacher app in the Google Play store now. 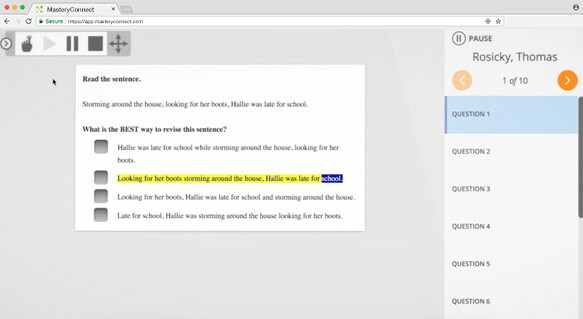 The Text-to-Speech feature in MC allows students who need accommodations to have assessments read aloud. This is also an effective option for young learners and second language learners who could benefit from hearing a question as they read along. Text-to-Speech is now available in beta, and it can be enabled at the district level with approval from your district or school’s MasteryConnect administrator. If interested, please contact your Regional Education Consultant for more information or talk to your MC admin. We heard you! 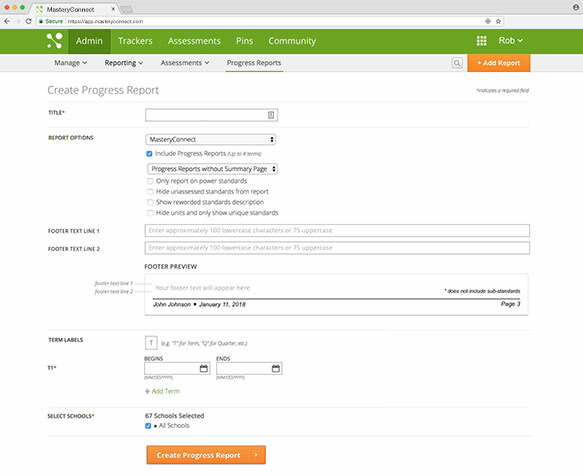 Now you can say more on your progress reports with two lines of customizable text at the bottom of each report. This is a great place to put a description of mastery levels or even your school motto—you decide! Once the report is generated, your custom text will appear at the footer of each page. 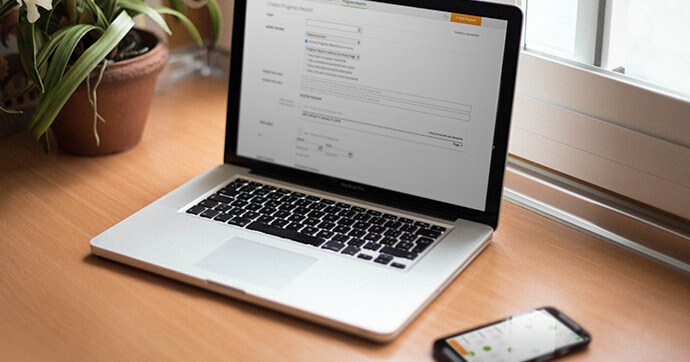 Gain more clarity about your data on a larger scale with this update to Overview Reports. Because we know how important reporting is for district admins and principals, we’ve improved the look of these charts and graphs. You can now better visualize data between district, class, and tracker charts—ensuring your data is as clear and actionable as possible. As always, we love hearing your feedback! 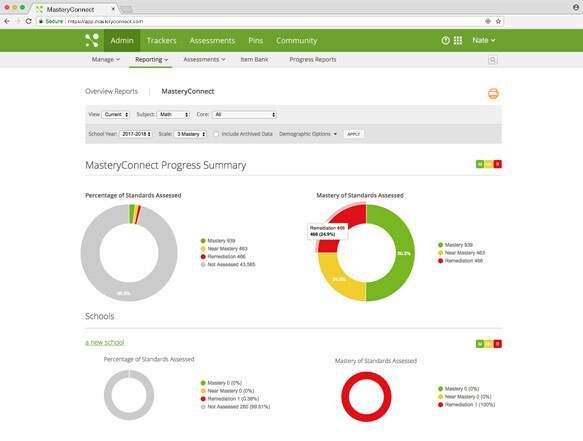 If you have any questions about these new features, please reach out to your Regional Education Consultant or the MasteryConnect Support team. Not a MasteryConnect user? Learn more at masteryconnect.com/demo.